Excellent value for money. 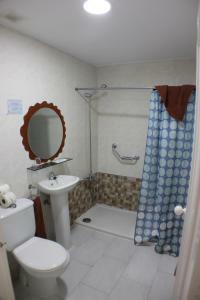 Because it was not expensive, I had low expectations but it exceeded them in levels of cleanliness, comfort and space. Food was nice for breakfast and dinner. Wine and beer was included, which was a nice touch. 10 min from airport. The breakfast was self service .Well presented. With good choice. in a clean ,airy dinning room. Very nice place. Highly recommend it. Very quite. Friendly and helpful staff. Good breakfast. Kitchen in the room. Good facilities. Nice staff. Close to the ocean, no beach, but nice for walking. Big swimming pool. Pretty quiet and fairly clean. Close proximity to the airport (yet quiet). There are mini shops not that far to get some basics. Kitchenette. Reception and restaurant staff are friendly and helpful. All apartments have a pool view which is a bonus. It was good to see maintaince staff completing jobs around the complex which looked very nice. Drinks and food at the bar were very reasonably priced. Although a wider variety of cocktails would have been nice. 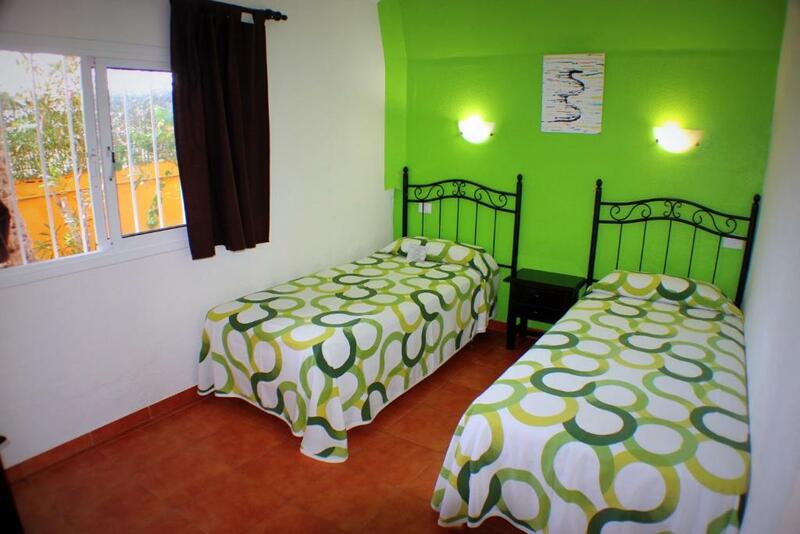 This hotel.is an excellent base for people wanting to explore the island close to the airport so would be great for families with young children. Martin B and the Zumba Crew bring this place to life a few times a week. 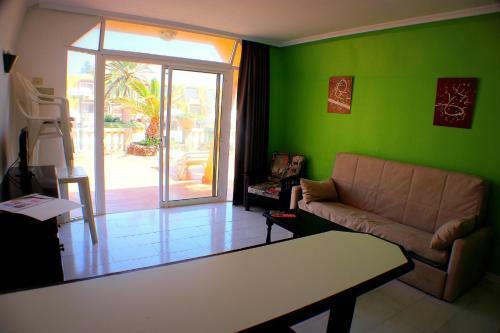 Apartamentos la Piramide This rating is a reflection of how the property compares to the industry standard when it comes to price, facilities and services available. It's based on a self-evaluation by the property. Use this rating to help choose your stay! 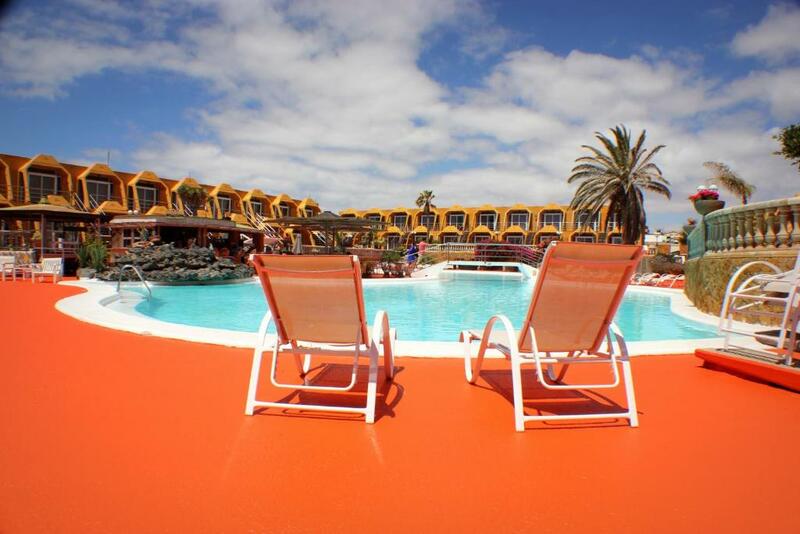 One of our top picks in Costa de Antigua.Apartamentos la Piramide is a 10-minute drive from Fuerteventura Airport and 2 miles from Castillo Beach. It features an outdoor pool, hot tub and sauna, as well as a gym and tennis court. All apartments have a balcony with pool views. There is a living room with a sofa bed and flat-screen TV. You can rent the safe, and there is a private bathroom. The kitchenette includes a fridge, stove and coffee maker. The complex has a cafe, restaurant and poolside bar. Packed lunches can be requested and there are vending machines for snacks. Free parking is available nearby and an airport shuttle service is available for an extra charge. Fuerteventura Golf Club is 3 miles away. 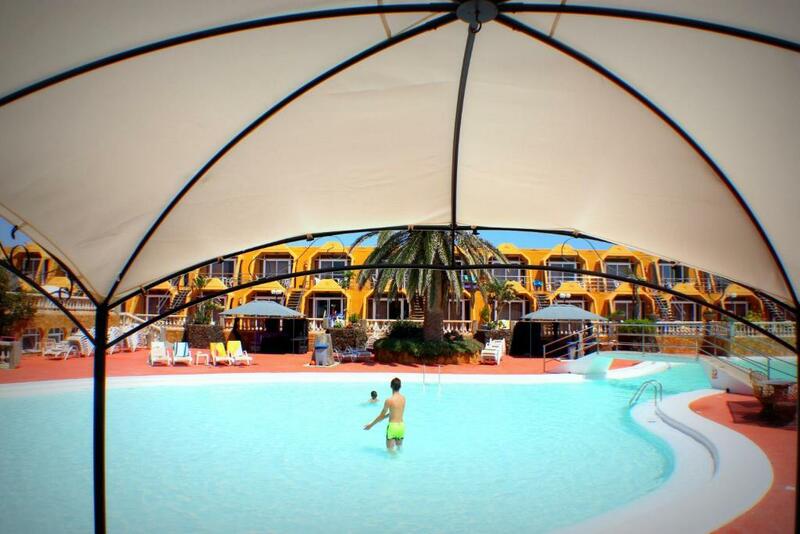 When would you like to stay at Apartamentos la Piramide? All apartments have a balcony with pool views. There is a living room with a sofa bed and flat-screen TV. You can hire the safe, and there is a private bathroom. The kitchenette includes a fridge, hob and coffee maker. This apartment has 1 bedroom with a large double bed and a bathroom equipped with a hairdryer. The living space includes a seating area and a 32" TV. Nuestro complejo dispone de 96 Apartamentos con vistas a la piscina en un entorno muy tranquilo, disfrutarás de un amplio solarium y una piscina espectacular, los apartamentos están equipados para que puedas cocinar o si lo prefieres disponemos de restaurante buffet y pizzeria "Rugantino", las mejores de la ciudad, todo con unos precios que no te podrás creer. Nos gusta disfrutar del buen clima que tenemos, la buena comida y bebida junto con los amigos que hacemos por el camino. Nos encanta la música en directo así tenemos los fines de semana (sábados y domingos) un variado buffet barbacoa junto al bar piscina con grupos de buena música de 14:00 a 16:00 pm. Nuestro barrio es un sitio muy tranquilo donde podrás disfrutar de paseos junto al mar y la naturaleza típica de la isla de Fuerteventura. Hay varios pubs en el barrio, restaurante de comida china, y comida tradicional de Canaria, así como supermercados. 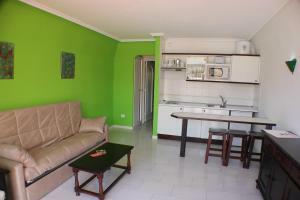 House Rules Apartamentos la Piramide takes special requests – add in the next step! Apartamentos la Piramide accepts these cards and reserves the right to temporarily hold an amount prior to arrival. Please inform Apartamentos la Piramide of your expected arrival time in advance. You can use the Special Requests box when booking, or contact the property directly using the contact details in your confirmation. The concrete ramps were steep and slippy and a lady with mobility issues had great difficulty in using them. For this reason I wouldn't recommend it for people with mobility issues. The pool was too cold to swim in and there was rarely anyone in it. I think it could do with being heated a little as it was lovely, just freezing! As a returning guest I am able to compare my visit from last time (2017) No fault of the complex itself with it being quite a secluded plot but the surrounding areas still give a poor 1st impresson on arrival. Many UK ex-pats use this hotel for Zumba and party nights...so get them to return the favour and make the area look nicer! In the resturant the food could be kept under hotter lamps to ensure food is warm throughout service. Around the pool many of the sunlougers are in need of repair or replacement which is the main issue I noticed from last time. Only 1 young female bar maid needs to work on her customer service skills as not very welcoming or seem happy to be at work (could just be having a bad time?). With all being said I would still return. Reasonable price for the quality and service provided. Tasty breakfast, where you can find everything. Also prices at the bar were reasonable. Room was clean, with small balcony / terase. Good value for your money. Basic but pleasant accommodation. Cold in room sometimes, if you dont rent a car- there is nothing to do next to hotel. Pool, music in restaurant and next to pool, staff, food, close to airport and mall, guests, mood, animations in the evenings. The personal of the hotel were very useful and friendly, mainly Alina, incredible worker. Room was perfectly cleaned and fantastic. Beds were very comfortable! Ideal location, close to the airport. Gym is awful, do not worth it, it looks nice in pictures, but almost all equipment is broken, the room is smelly. Billiard table doesn't have all the balls. Ping pong table doesn't have a small ball, you need to buy yourself as we have been advised. remember, they DO NOT CLEAN YOUR ROOMS ON SUNDAYS. Would be nice to be informed before. The bar is too noises. Apartment kitchen equipment very basic. No wifi in room, only in reception. Tip for hotel improvement: In evening I left my jacked near pool table, next morning came to reception for lost'n'found, but nothing was found, asked in bar also nothing. Was asking for two days still nothing, then went to reception to print "Missing jacket note", one more time asked in bar and bingo, jacket was there. So I guess somebody brougth to bar, jacket was "hidden" and nobody knew about this except person who put there :( It ended good, but situation can be improved for sure. Good breakfest, nice swimming pool (bit cold at this time). Nice in general.